The Batman Confronts His Greatest Fear! Batman: Kings Of Fear returns this week with an exciting fourth issue that sees the slow burn of Scarecrow's psyche evaluation of The Dark Knight continue. 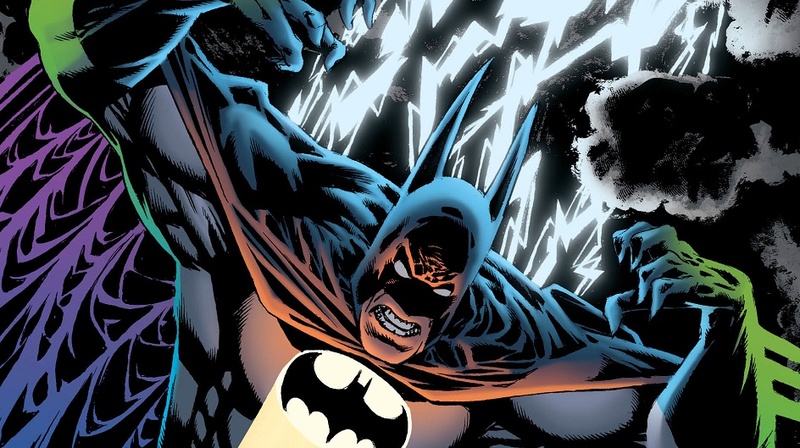 As each of the good doctor's questions pry away at Batman's resolve, he'll have to confront his greatest fear before it's too late and one of his greatest foes succeeds in levelling Gotham City for good! All the while, the effects of Scarecrow's fear gas continues to send Bruce Wayne into a downward spiral that sees him questioning everything he has ever fought for. Is he really protecting Gotham? Or, is the city better off without its Watchful Protector even after all these years? This series continues to explore the destruction of The Dark Knight, and we'll admit that this is one of the most unique and fun Batman titles to hit newsstands in recent years! Whether it's the gorgeous 90's style art that calls to mind some of The Dark Knight's most classic adventures, or the fantastical plot which looks to exploit who The Batman really is, this is one great book that DC should truly be proud of as Scott Peterson and Kelley Jones continue to pull back the multi-layered veil of Bruce Wayne in new and unexpected ways! While this series won't be for everyone, we feel that fans of The Caped Crusader will enjoy this wholly unique and immersive experience on multiple levels! Whether it's exploring how Bruce Wayne sees himself, or watching as he confronts the very real truth about what good he's actually doing for the people of Gotham, this exceptional series offers something different for fans of the Batman with an intriguing approach that takes things we already know about the man beneath the mask, and gives them a fresh twist! Rating: 4/5 - "A unique and exceptional series that offers a fascinating glimpse into the psyche of one of the pop culture world's biggest heroes!" 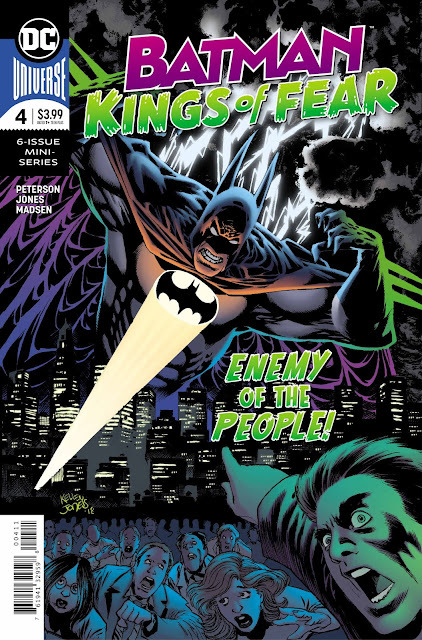 Batman: Kings Of Fear #4 is available now.